HyreCar is not a new concept, but it was new to the Minneapolis/St. Paul area as of May 2018. My husband, Adam, had signed up to be notified as soon as it was available in our area because we wanted to test it out. Passive income is always a great thing in our opinion, so we wanted to see if this would be worthwhile. For a little background, HyreCar is a service where people who own cars can put them up for rent, typically by Lyft and Uber drivers who don’t have cars that they can use or who don’t want to put the wear and tear on their own vehicles. So, those drivers rely on people like my husband and I to be willing to let them drive our cars. Needless to say, I was nervous. my husband was more excited than anything because it is a pretty cool concept that can come in handy for a lot of people. But, it’s a stranger driving your car! That’s the part that really bothered me. I barely trust family to drive my vehicle let alone someone I’ve never met before. The silver lining for me in this instance was it was my husband’s car we would be posting, not my Grand Caravan. I had been driving less and less leading up to the summer months, so we figured it would be worth trying it out instead of having one of our vehicles sitting there not earning anything. Interested in signing up with Hyrecar? Click here! As soon as it was available, we listed our Toyota Camry for $32/day, which seemed pretty reasonable to us. We’d done some research of what vehicles similar to ours were being rented for in other cities to make sure we weren’t asking way too much or underselling it. Pretty quickly we had some people who were interested. The first driver had sent us a message through HyreCar’s messaging system and seemed excited to try the service out. We were getting excited, too. The hiccup was that for some reason his payment was not going through, so we couldn’t go forward with renting to him. They also get to see pictures we’ve taken and uploaded of the vehicle so they can get a basic idea of what shape the vehicle is in. The long Rental Discount you see on the image is what we offered for anyone renting out for a full 7-day week at a time. We offered a 5% discount for that length of time. If they rented for a full month at a time, we bumped it up to a 10% discount. Now, the second driver who contacted us had heard of HyreCar when he was driving for Uber out in Los Angeles and decided to give it a shot when he moved back to the Twin Cities area. He wanted to see the vehicle before committing to renting it, and I was happy to be able to meet the potential renter before just handing over the keys. We met up at a time that worked for all of us and chatted for a good 30 minutes or so. He looked over the vehicle and asked us questions about Uber and Lyft in the area and what we thought was an average amount to earn as a full-time driver so he could calculate if the expense of renting our vehicle was worth it. Related: Want to do those calculations yourself? We help you out here! A few days later we got the official request through HyreCar along with the contract. The contract outlined how many days the person was planning on renting the vehicle, how much we would be earning for that rental period and how to proceed should any issues arise. The way HyreCar works is that he is able to extend his rental contract as often as he wants as long as we want to continue renting the vehicle out. There was only one instance where he forgot to renew it before the rental period was up, but we knew he still wanted to rent it, so we just sent a friendly reminder and gave him one day to renew it before we would have taken any kind of action to get the vehicle back. He paid it up the next morning and the rental continued. He typically paid for 3 to 5 days at a time, so we received one or two payments a week directly to our bank account without any effort on our part. Do you rent out your car (or cars) on other platforms, like Turo or Getaround? StreetSmarts can help you put your carsharing business on autopilot with features like automated reimbursement requests (including tolls), automated calendar syncing and more. Go to Streetsmarts.io to get a free 30-day trial. One thing we hadn’t taken into consideration until we were handing over the keys and talking with the driver is the permit every driver needs to pick up at our airport. I’m sure the rules are different for every airport around the country, so keep in mind this is specific to Minneapolis/St. Paul. With HyreCar being new to the area, this process was a bit clunky to say the least and that is, I’m sure, in part because HyreCar didn’t know about this kind of regulation. We ended up carving time out of our day in order to meet the driver at the local TNC office in order to make sure he was able to pick up riders from the airport as a rideshare driver. We realized after the fact that we didn’t need to be there for this part, but since HyreCar was so new to the area, we felt it would be important to be there so that the driver and the TNC officials understood what was needed and how to get the correct permitting on the first try. These permits are essential and the police around the airport have been known to do random checks to make sure you have the proper paperwork for picking up passengers at the airport. 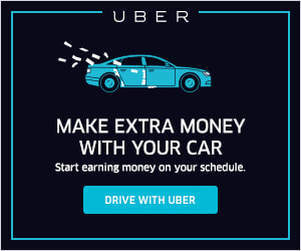 The way it works here is that each driver needs to pay $25 per service (i.e., Lyft, Uber, etc.) each year in order to legally pick up riders (dropping off is not an issue, and anyone can do that). We already have the permit in our vehicles, but the driver needed to be added to it or else he’d have to decline all pickup requests from MSP, which is a profitable area for drivers to work. Luckily the worker at the TNC office was, for the most part, able to understand what we needed to do and was able to process it pretty quickly once we were all present. So, if there are similar laws in your area, you might want to look into what needs to be done before renting your car out so that no one gets in trouble for not having the proper permitting or paperwork. We were lucky in that there weren’t any major repairs needed during this rental period, just typical maintenance things like oil changes and tire rotations. When that kind of instance came up, we just organized with the driver when he wouldn’t need the vehicle so we could pick it up, get the oil changed and then drop the car back off again before he’d need it. It was pretty slick and was a lot easier than I had imagined it would be. All maintenance items are the owner’s responsibility once the driver indicates something needs done. We kept in regular contact with the driver just to make sure things were going smoothly and whenever anything came up, he just gave us a quick phone call to let us know what was going on. The biggest thing that cropped up was at the very end of the rental period. He’d mentioned something about a nail being stuck in one of the tires. We told him we could pick up the vehicle and have it looked at, or he could take it to any Discount Tire location and tell them our name and the tire would be under warranty for patches. He said he’d take care of it because he only had a couple of days left before he’d be returning the vehicle anyway and wanted to be able to drive it as much as possible before that time came. We hadn’t heard anything else from him about it, so we assumed he’d gotten it fixed and that everything was fine. Three days later when he returned the vehicle to us, everything looked fine and there seemed to be no issues. But, a few days after that, when my husband was out driving the car he noticed one of the tires was lower than it should be and got it checked out. Sure enough, the nail was still stuck in it. It wasn’t a huge issue, but it was a bit inconvenient and we just wish the driver had been up front with us about it when turning the vehicle back over to us. We would have taken care of it that day instead of having it inconvenience my husband while he was out driving. Luckily, he never got into an accident or had any major repair issues come up while he was renting it. If that had happened, however, HyreCar has the drivers pay for insurance on the vehicle, so we would have been covered if there had been an accident. That was another plus side for us as the owners. With Hyrecar, we wouldn’t have to pay our deductible with our regular insurance or go through any of the hoops you’d normally have to do in order to get the car taken care of. All of that would be on the driver and HyreCar to handle. However, since we didn’t actually experience that first-hand, we don’t truly have an idea of how smooth or how difficult it would be to get the repairs done in a timely manner. 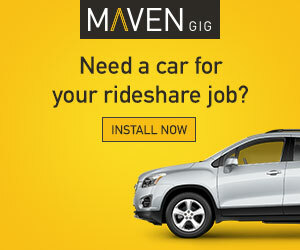 Related: Looking for rideshare insurance? 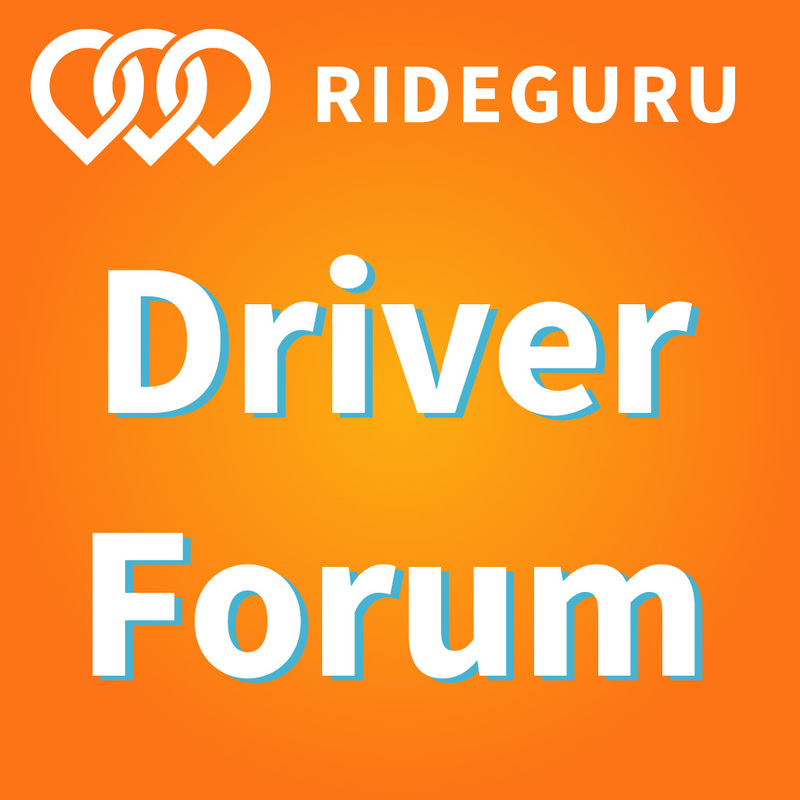 Find agents familiar with rideshare insurance in your state here! One day, when I grabbed the mail as I was coming home from work, I noticed something interesting in the mailbox. It was a notice of an unpaid parking fine on the Camry. It was a final notice (no other notice had been sent our way previous to this) and was for illegally parking at a meter without paying to be there. The incident apparently occurred two nights after we had handed the keys over to the renter. After the initial shock and surprise at getting such a notice in the mail, my husband and I had to make an interesting phone call that night. The driver didn’t pick up the phone at first, so I left a message and he called me back within an hour or so. He was oblivious to the fine and could not recall an incident that would have led to the ticket being given. So, I sent him a copy of the notice which showed that it definitely would have been during the time period of him renting it. In the meantime, we researched more about what would happen if he refused to pay the fine since he claimed to know nothing about it. This is HyreCar’s Tickets and Tolls Policy. It sounds to me like we would pay the fine and then send the issue to HyreCar to sort through for repayment from the driver. Luckily for us, the next day the driver sent us a message saying he’d just call in the payment and have it be done with. Now, a few months later, I can totally see how he may have known nothing about the ticket in the first place. I got a parking ticket recently and the information on the ticket was totally misleading in that they said they placed the ticket on my vehicle when, in fact, they handed it to me personally. It may be presumptuous of me, but I’m assuming the traffic control officers routinely note that the ticket is left on the vehicle whether they do or not so it can just be considered “lost” if the driver never receives it. Here’s where we get to the part where we finally learned if it was worth it to try out HyreCar. Overall expenses on the vehicle during the time period we had it rented out came to a grand total of $413.94. This included two oil changes, one engine air filter replacement and getting one axle rotor and brake pads replaced. Keep in mind, the brake pads we had replaced previous to renting the vehicle but they were wearing too quickly for our liking, so we upgraded them to the high-performance ones. Our mechanic allowed us to just pay the difference since we had just replaced them about a month before renting the vehicle out and were already seeing too much wear on them, plus we’d gotten ones that were under a warranty. So, we walked away (before tax deductions and before paying taxes on it) with $2,485.58 on a vehicle that would otherwise have just been using up gas weekly to take me back and forth to work. The driver rented the vehicle for a total of 108 days. Meaning, without lifting a finger, we earned $23 a day or about $690 a month, which more than covered the car payments and insurance we were already paying. Granted, there is increased depreciation of the vehicle, perhaps more than if we were using it instead of someone who was driving it as a full-time Uber/Lyft driver. Plus, if he had a heavier foot with the brakes than we do, that would wear down faster and need to be replaced sooner. We didn’t have those kinds of issues this time around, but that’s always a potential and would be an added expense that may tip the scales in the other direction, possibly making me rethink ever doing this again. The short answer here is: Yes. Now, here’s the long answer. We would, BUT we would do some things differently. For one, we wouldn’t use one of our regular vehicles that we use on a regular basis. We’ve been talking about buying a more efficient vehicle that we would use for Uber and Lyft and then we’d turn our Camry into a car that will strictly be for renting out with HyreCar. One reason for this decision is because while the Camry was being rented, my husband used my Grand Caravan as his full-time vehicle for Uber and Lyft and just paying for gas for the van was ridiculously expensive. He was still able to make well enough to make up for that by doing XL rides as well as X, but we’d like for the venture to be even more worthwhile before we do it again. Also, it did get a little annoying at times to be limited to just one vehicle for the both of us. I was able to take the bus to my regular job, but all of our errands would have to work around our schedules to get taken care of. Plus, if anything were to happen to the van, we’d be out a vehicle and stuck, which actually did happen. The steering went out on my van and it was in the shop for four days. So, those days my husband was not able to work because our “back up” vehicle was being rented out. Another factor for us is the unpredictable weather we get. Leading up to the winter, we would have ended the rental if the driver hadn’t already wanted to return it. This is mostly because the bus system becomes noticeably less reliable when bad weather hits, which happens pretty frequently here in Minnesota. So, we would only consider doing this during the winter if we had a third vehicle to rent out instead of hindering ourselves by renting out one of our main vehicles. Overall, we don’t have any regrets and we’d certainly consider doing HyreCar again in the future. The passive income was great because it covered the car payments, insurance and extra on top of that each month we had it rented out. That to me is worth it on its own. If/when we do this again, I will continue to be nervous about a stranger driving our car. But, I know there are good experiences out there because we’ve already had one. I will be picky about the drivers we approve to drive the vehicle. One final thought you will need to consider before putting your vehicle up for renting on HyreCar is that your vehicle is still being used on a daily basis. There will be wear and tear on the car and the maintenance is all on you. 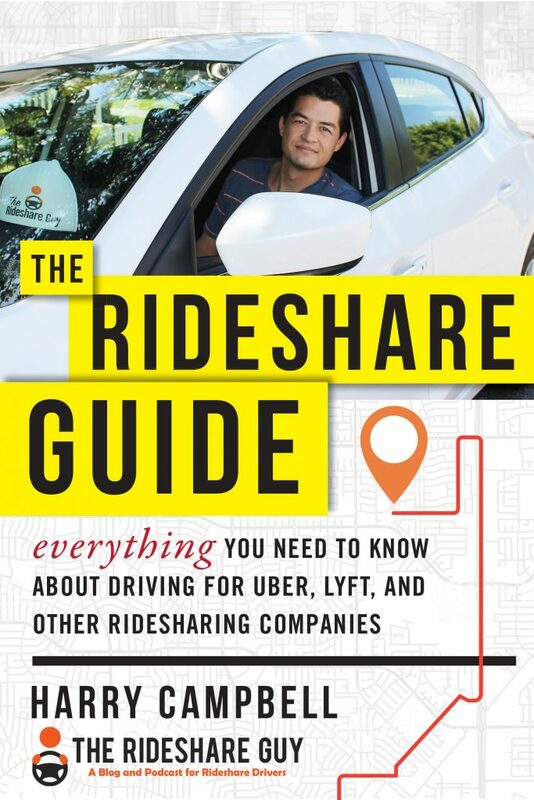 They are typically rideshare drivers renting out your vehicle, and as a rideshare driver yourself, you know how much stress you put on your vehicle on a daily basis. The same is true here; it’s just not at your hands the wear happens. Have you thought about renting a car through Hyrecar? Have you rented your car out or rented a car from Hyrecar?